NEWPORT, N.H. - He spends most of his time criticizing President Obama and Newt Gingrich, but on Wednesday Mitt Romney couldn't resist a little dig at a fellow politician from the Bay state, Massachusetts Sen. John Kerry. 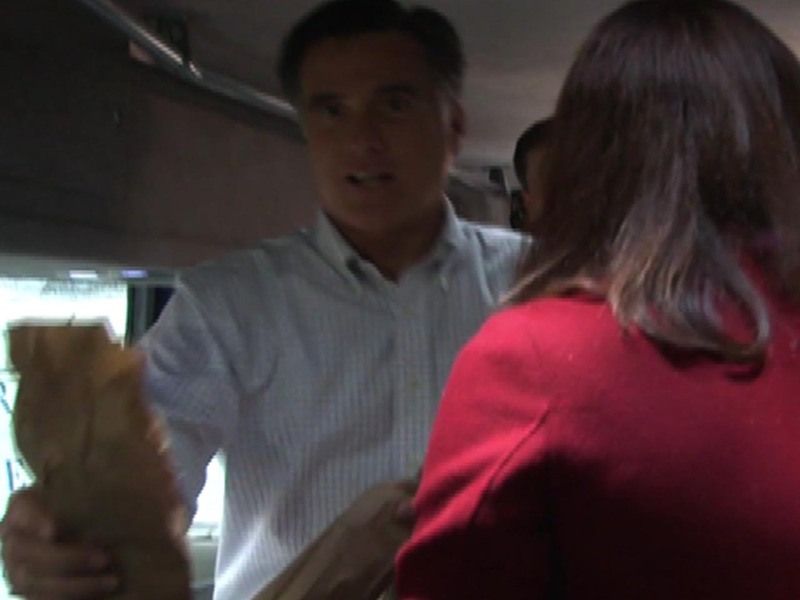 While handing out sandwiches aboard the campaign press bus in Newport, Romney joked: "What do you guys want? Filet mignon with some brie, is that it back here? Some arugula? That's the John Kerry bus back there. I'm sorry." During his 2004 presidential bid, the wealthy Kerry was mocked for what were perceived as elitist tastes, such as ordering a Philadelphia cheese steak with Swiss cheese instead of the traditional Cheese Whiz. Now Romney - who is said to be worth somewhere between $190 and $250 million -- is desperately seeking to avoid the out-of-touch label that Democrats have sought to pin on him.